Microwaves have come a long way since they first hit the consumer market in the 1960s. Today, you can purchase a reliable microwave at any department or home goods store, some for less than $100. The low price of these standard microwaves is partly because they are mass produced overseas, even though surveys show that 8 out of 10 American consumers want to buy items made in the USA, whenever possible. While many appliance manufacturers have taken to making their microwaves in China and other Asian countries, you can still find microwaves made in the USA – and some snazzy ones, at that. If you have a little more room in your budget, and you like the idea of a microwave that really stands out and has cool features, look no further than these 5 super cool microwaves. Big Chill’s only has one microwave model, the Retro, which is still made in their Boulder factory, and sells for around $600. It’s a 1,200-watt microwave with 1.6 cubic feet of space. The retro microwave’s outer finish features a mix of stainless steel and another color, so it fits into today’s modern kitchens, as well as vintage-style kitchens. It comes with these little silver feet that give it a space-age look (although you can get it without the feet, if you’re planning to put it above your range). 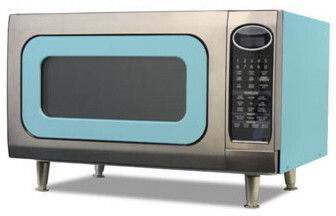 The coolest thing about this Big Chill microwaveis that it comes in your choice of eight standard colors, like turquoise and buttercup yellow (standard colors are for the price already mentioned), or one of 200 custom colors (for an upcharge). If you’re looking to spice up your kitchen with a colorful microwave, you’ve got to check this one out. It does everything a regular microwave does, it just looks cooler doing it. Dacor is a kitchen appliance manufacturer that hails from Costa Mesa, California. They’re well-known for their “Microwave In-A-Drawer”product, which comes in three models that sell for around $1,400. 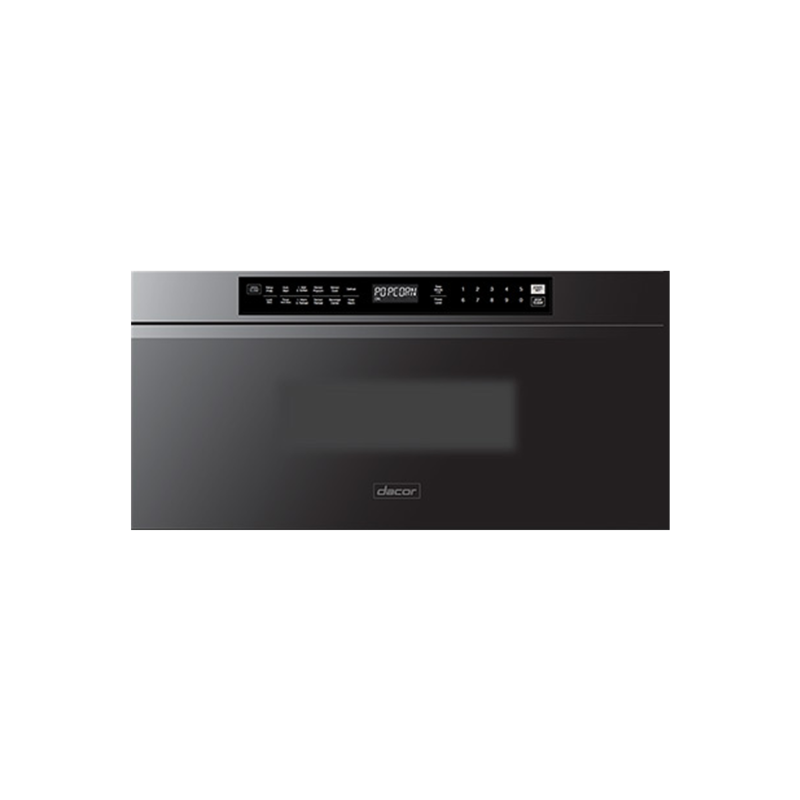 You can install these drawer microwaves under a counter or above a wall oven. We can’t help but love this concept; in the era of open concept, it just screams “modern kitchen”. In terms of practical uses, the microwave-in-a-drawer is ADA compliant when installed under a counter, meaning it is accessible for persons with disabilities, in particular those in wheelchairs who can’t reach items on standard-height counters. The unit features child safety locks, so you won’t have to worry about your little ones (or your pets) getting into it if you install it under the counter. You obviously can’t just buy one of these Dacor models to replace your current microwave; a little re-modeling will need to be done if you don’t already have the right size space with electrical components built in. If you’re due for a kitchen remodel, though, you should definitely consider a Dacor microwave. Wolf (part of Sub-Zero/Wolf) has locations in Madison, Wisconsin; Phoenix, Arizona; and Richmond, Kentucky.Wolf has been around for over 80 years and has a background in supplying quality commercial kitchen equipment. They make three types of microwaves: standard swinging door, drawer, and drop-down door.The drop-down door microwaves look like a wall oven, and can be installed in a wall or under the counter, which makes for a great space saver. A standout feature of the newest Wolf microwaves is the warming feature, which keeps foods at your desired ready-to-serve temperaturefor up to 90 minutes. 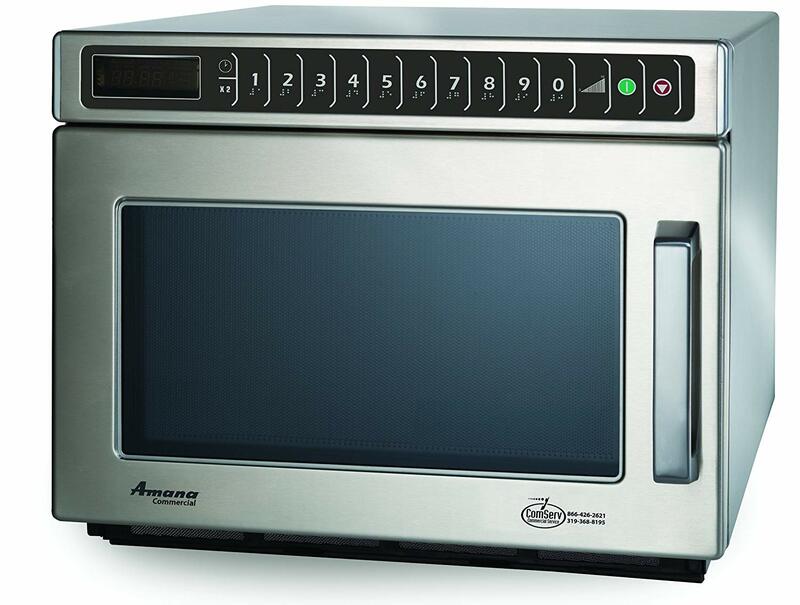 Wolf microwaves aren’t cheap; the drop-down door models start at around $1,700. At that price, you’ll get a quality, commercial-grade microwave with features that you won’t find on a less expensive consumer-grade machine. Viking makes most of its products in Greenwood, Mississippi. The company has spent the last few years reinventing itself and the quality of its products (and has won a number of awards as a result). Like Wolf and Dacor, Viking makes a drawer microwave that installs under the counter or in a wall. The control panel on their Undercounter DrawerMicro Oven looks just like the control panels on most wall ovens you’ll find in stores today, which is a nice change from your standard microwave design. For $1,579, you get a sleek stainless steel drawer microwave with touch controls to open and close the drawer, child safety locks, a “warm” mode (up to 30 minutes), and a pretty impressive product warranty. You might know the Amana brand for its consumer appliances, like refrigerators, ranges, and dishwashers, all of which are widely available at big retail stores throughout the United States. What you might not know is that Amana makes a bunch of high-powered microwaves for commercial use. And most Amana commercial microwaves are made in Cedar Rapids, Idaho. What makes these commercial microwaves so cool is that they look really basic on the outside, but have tons of high-powered programs that make cooking just about anything really easy. Check out this video to see how a huge bin of rice comes out perfectly cooked in just ten minutes (skip ahead to minute 1:00). Amana also makes a model with a door that slides up , instead of out and to the side. This design is great for small restaurant kitchens, and keeps coworkers from the dangers of a swinging door! While it’s true that most of us have no need for a commercial unit like these, we thought that these cool designs and features deserved a mention in our list of super-cool microwaves. It’s nice to see that these high-tech appliance makers have continued to make microwaves in the USA, even though labor is cheaper abroad. A recent stat says that US output has doubled over the span of the last 30 years, so maybe the tables are turning. Although they are pricy, we think these microwaves offer some impressive alternatives to the standard countertop units that you find at the big department stores. What do you think? Do you agree that these are some pretty cool microwaves?Would you consider buying one for your home? 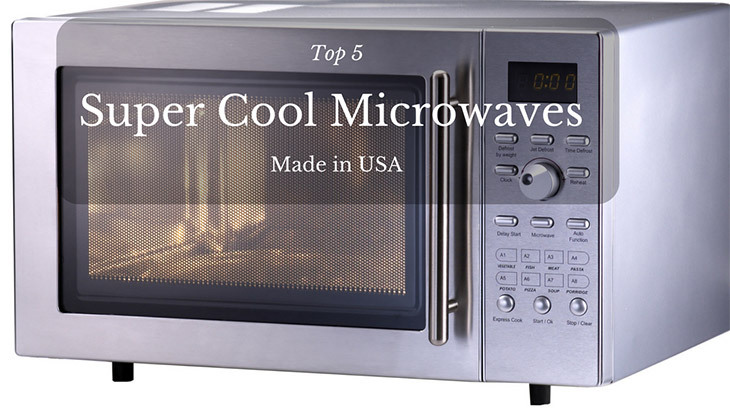 Leave a comment or point us to other cool microwaves that are made in the USA.